I've had a few PM's about where to hook up the wires on the board. So here is a drawingandhope this helps ya. So 6 volt eh I may have a 6 volt AA otherwise can you use a 9? Sorry about all the questions!!! You can use a 9V for the board......BUT NOT IF USING A SLAVE. 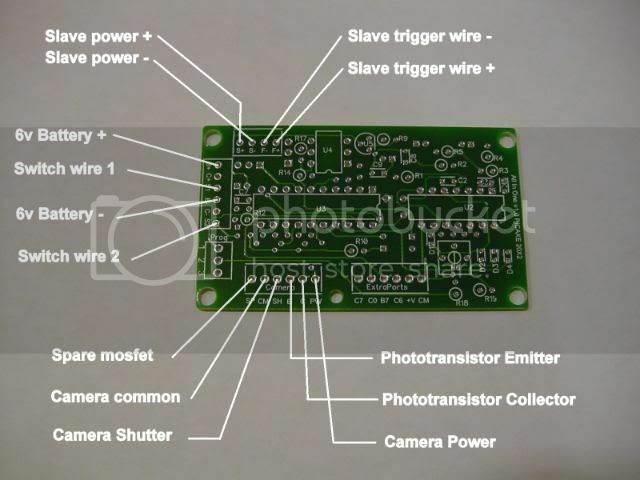 If you are using a slave, the slave is powered by the same power source as the board.